*Diddy’s camp is saying that the cancellation of five Diddy-Dirty Money tour dates in Florida and Missouri had less to do with sluggish ticket sales and more about technical issues. “A few dates for the Coming Home tour in Florida and Missouri were canceled due to production and technical logistics which made it impossible for Diddy-Dirty Money to perform the best show for their fans,” a rep told TMZ. The rep would not explain the exact nature of the “technical logistics,” but TMZ claims the reasons range from lighting to stage problems as possible speedbumps. 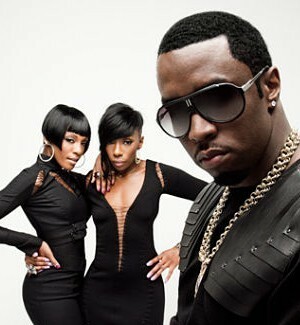 Diddy-Dirty Money, comprised of Diddy, former Danity Kane singer Dawn Richard and singer Kaleena Harper, plan on hitting their last three tour stops within the next two weeks. “The remaining shows in Los Angeles, San Francisco and Phoenix are scheduled as planned and will mark the ending to a widely acclaimed tour,” the rep continued. The trio released their debut “Last Train to Paris” in December of 2010. The album surpassed industry expectations selling 101,000 units in its first week. The Coming Home tour wraps up May 10 in Phoenix. Could puffy ever give someone else a chance to shine? He cannot sing or rap but he constantly inserts himself where his two cent talent is not warranted. Why doesn’t he just stick to doing his clothing line and resturants? Clearly, bad boy records isn’t so ‘bad’ after he done chased off almost his entire roster of artists (except for Biggie) with his recording deals. I would think he would be losing money, considering the cost of running an almost non-existent record label. I soooo AGREE! He needs to SIT DOWN! MTV will probably let him do ANOTHER “Making of the Band” that he’ll dismantle. What music do they have that will fill up a room anyway…. What..? He’s gonna pull a “Charlie Sheen”!! EXACTLY! What music do they have that will fill up a room anyway? LOL! I hear you loud and clear. One reason Puff has acts are tax write-offs. That’s just the way Puff works. He will ALWAYS be in the limelight when it comes to him and his artists. Also (NOT BEEFING WITH YOU AT ALL), the acts Puff has been getting these past few years have been garbage. They’re just a flash in a pan. Them being associated with Puff gives them a lil push. Think about it, would you be interested in The Band’s first single (whatever that was) had not the world known about them being on Puff Daddy’s show? I hope you catch my drift. It’s a double edged sword with him. I just don’t like it when people point all of the blame (not you persay) at Puff Daddy and not the act themselves. Puff has been around for A LONG TIME. He’s doing something right. I didn’t think about the tax write off aspect and I agree with you. But though Puff has put in the years, it’s the quality of music that people will remember him by. I really wish he took the time and developed someone like a Faith Evans or a Carl Thomas. These acts really had potential. I just wish he’d used the opportunity he has to promote other people who do have talent. But like you said, maybe it’s just cheaper for him to push himself and toss some peanuts to his backup. BTW, I’m not trying to start anything, but is that a guy in the middle? One of them chics got hecka backside.